It has 19m main booms, with the longest main booms and the highest comprehensive hoisting performance in the product of the same tonner. The max speed reaches 50km/h and the max gradeability is 55% and the min. turning radius is 5m. All these three factors make it flexible. 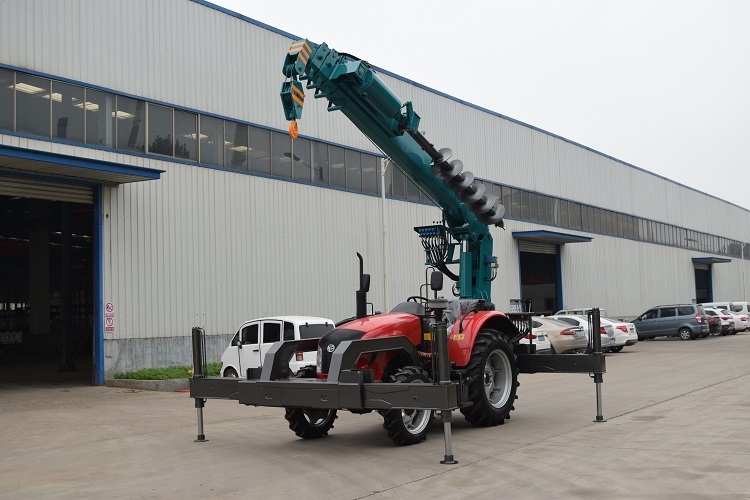 Self-localization and self-locked Jib stowed under booms make it needs no auxiliary operator and no equipment, and can quickly retract, and efficiently work. 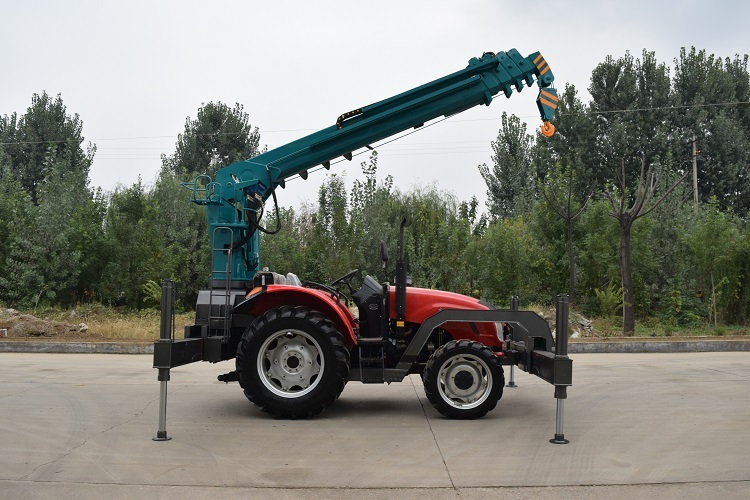 The product is equipped with lifting protection control system in case of overload, over-retracting and over-stretching as well as exclusive technology in this field like rear axle-wheel automatic return-control system and safety-driving automatic protection system. The product is equipped with top features in this field, professional matching upgrading and systematic evaluation test. And it has passed test like driving 11,000km and 10,000 times hanging. Both ensure its reliability. 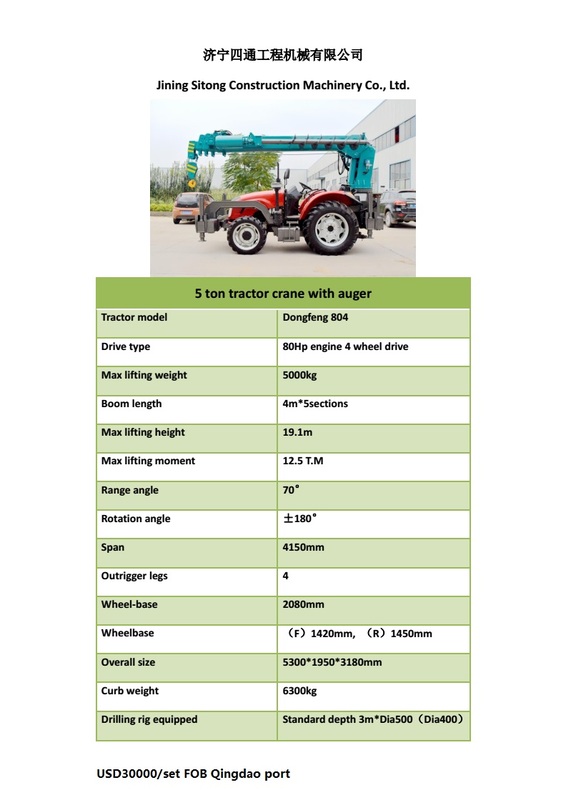 Looking for ideal Tractor Crane with Auger Manufacturer & supplier ? We have a wide selection at great prices to help you get creative. All the 4 Wheel Drive Tractor are quality guaranteed. 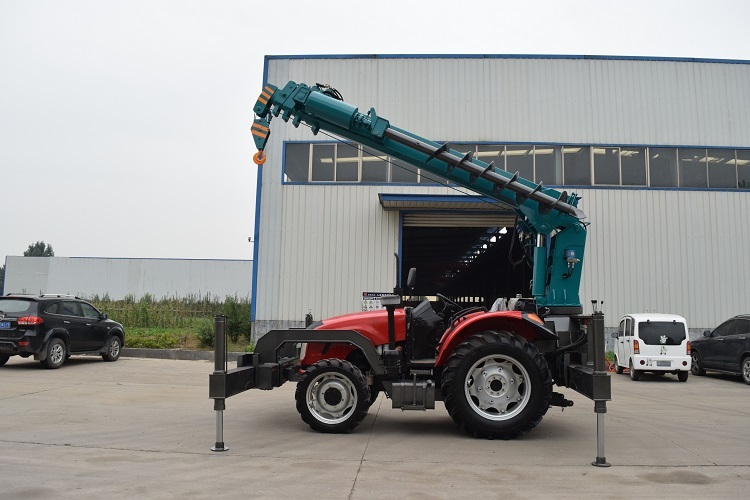 We are China Origin Factory of Rough Terrain Crane. If you have any question, please feel free to contact us.